André van Beek was born in 1947, his father was Dutch and his French mother was a music teacher. Selftaught, post impressionist, André van Beek is an artist who loves painting the poetic, lovely landscapes of his native Picardy. He excels in reproducing delicate colourful gardens of flowers, and his own garden, or that the poet Philéas Lebesgue. He particulary enjoys capturing the early morning mist rising from shimmering ponds. 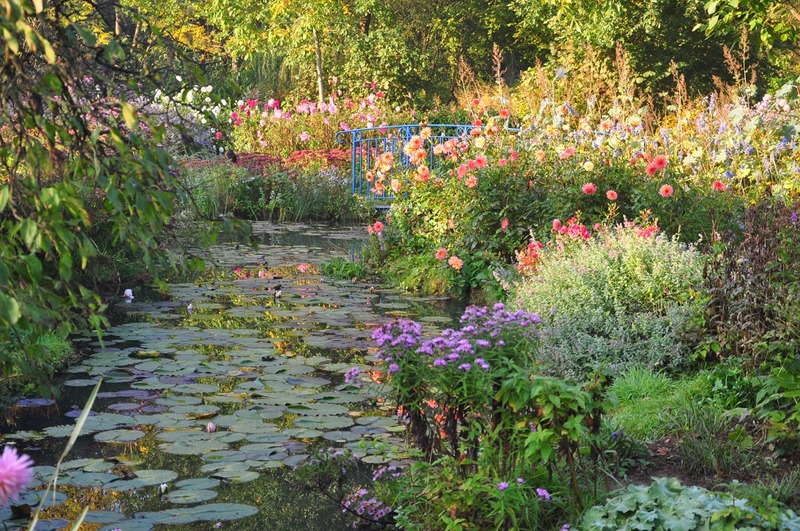 Trees and flowers lining the canals of the « Hortillonages » of Amiens are favorite subjects for him. Sometimes he will capture the peace of the Seine riverbanks of the calm of one of the small villages in Saint Michael’s bay. His style of painting is made up of superimposed or juxtaposed colour strokes revealing the light. Sensitive to the changing seasons, André van Beek reflects the subtleties of Nature beauty. His works are know all over the world, especially in the United States and in Japan. He exhibits his painting in a Paris gallery. One day, letting his inspiration lead him, André van Beek visited a small village in Picardy. Seduced by the beauty of this area, he entered into a sleeping home and found himself setting ip his easel in its peaceful garden where so many multi-coloured corollas grew freely. This was Philéas Lebesgue’s garden. He was a poet. His poems were inspired by nature, life in the countryside and love. Fluent in the main European languages, he had many pen-friends all over the world. He interested himself in French and Gaellic dialect. A complete inventory of his work has yet to be realised. This extraordinary scholar commented upon every subject from history, politics, science, philosophy to literature. Here he painted his first work. Often returning to his garden for inspiration, he found here he renewed his energies, many more works followed. Having fallen in love with the derelict property and its flowery garden, he bought it and set about meticulously restoring the house. Fully restored to its former beauty according to the painter’s will, the property, surrounded by century-old trees, is now open as a museum to the poet’s memory, acclaimed for his literary and philosophical works.